Chloe Caldwell’s unnamed narrator hasn’t ever had an affair with a woman until she meets Finn. Older, charismatic, and in a long-term relationship, Finn is mysterious and captivating and obviously bad news. The pair quickly find themselves embroiled in the kind of demented, obsessive lust-love that can’t possibly end well. Spoiler: it doesn’t. But the detailed, raw, funny and unsparing way Caldwell’s narrator tells the story makes the experience seem appealing anyway, and worth the pain. It’s rare to read a book about falling in love that combines the heady fun and heartbreak of the experience of falling in love, but Caldwell has done just that. 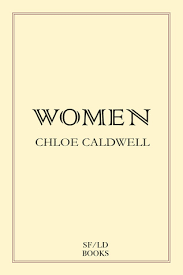 Chloe Caldwell is the author of the novella Women and the essay collection Legs Get Led Astray (Future Tense Books, 2012). 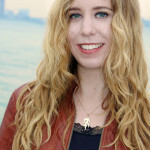 Chloe’s next essay collection, I’ll Tell You In Person, will release fall of 2016 from Coffee House Press and Emily Books. She lives in Hudson, New York. "Sometimes I wonder what it is I could tell you about her for my job here to be done. I am looking for a short­cut—something I could say that would effortlessly un­tangle the ball of yarn I am trying to untangle here on these pages. But that would be asking too much from you. It wasn’t you who loved her, or thought you loved her."